David Szücs, Kenneth Helgesson and Michel Bärzén started thrashing together in 2000. Mikael Sehlin joined the band in September 2003, and the constellation that is today known as Degradead was completed in October 2004 with the addition of Anders Nyström. In the beginning of 2005, using the band name “Septima” a demo was recorded, “Rest in Pieces” which included the songs: Day of the Dead, Resemblance of The Past, The Bloodchain, and Burned. In 2006 Septima recorded their second demo “Death Row” with six tracks including: “Relations to the Humanity” and “The Fallen”. A selection of songs from both demos were later re-recorded to form the group’s debut album “Til Death Do Us Apart”. A strong following in Sweden grew as Degradead consistently amazed their live audience. Jesper Strömblad of In Flames offered to work with the band when he heard the “Death Row” demo. On Jesper’s initiative, Degradead travelled to Gotheburg and recorded “Til Death Do Us Apart” in the IF studios. The album was produced by the H.O.R.D.E team, mixed and engineered by Björn Gelotte and co-engineered by Jesper Strömblad, Peter Iwers, and Daniel Svensson. The result of the sessions is the finest of Melodic Death Metal records, which manages to achieve a balance between Death Metal, Thrash and catchy melodies and highlight the bands’ signature sound. Mikael Sehlin uses his unique style of screaming through the first ten songs, ‘Genetic Waste’ to ‘Reborn’. 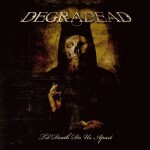 Finally, with the title track, “‘Til Death Do Us Apart”, placed at the end of the album, Degradead prove that they can handle the tranquility of an all-acoustic song. Shortly after the recording, Degradead signed a contract with German label Dockyard1 and the album was released world-wide in the beginning of 2008. “Til Death do us Apart” became the most sold debut album on Dockyard1. 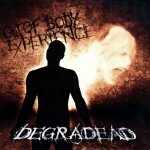 In November 2008 Degradead headed north of Stockholm to Ludvika to record their second album “Out Of Body Experience” this time working with producer Jonas Kjellgren (Scar Symmetry & Carnal Forge). The album was mixed, mastered and finalized in December and a few short months later, February 2009, Dockyard1 released the album. After a grand release party at Debaser Medis in Stockholm the album hit the official Swedish charts on 48, but also on a couple of genre and regional charts in Sweden: 6 on the Rock/Metal charts (right behind HammerFall, Lamb Of God and H.E.A.T) and 6 on the Gothenburg regional charts! Next on the agenda was a video shoot for “Wake the Storm”. To understand their dedication and insanity, it must be mentioned that they shot the video in 24 hours, leaving Stockholm at 5 am travelling 400 km north of Stockholm to Trollhättan and then returning the following morning at 6 am. Shortly after the video shoot, Degradead went to Europe on their first European tour in Germany, Czech Republic, Belgium and Netherlands. The response of the tour was tremendous. Before they left the tour bus, another tour with Norwegian black metal band Satyricon had already been confirmed with multiple dates in Sweden, Denmark and Finland. Keep your eyes fixed on Degradead’s website and myspace profile to find out the latest news of the band. 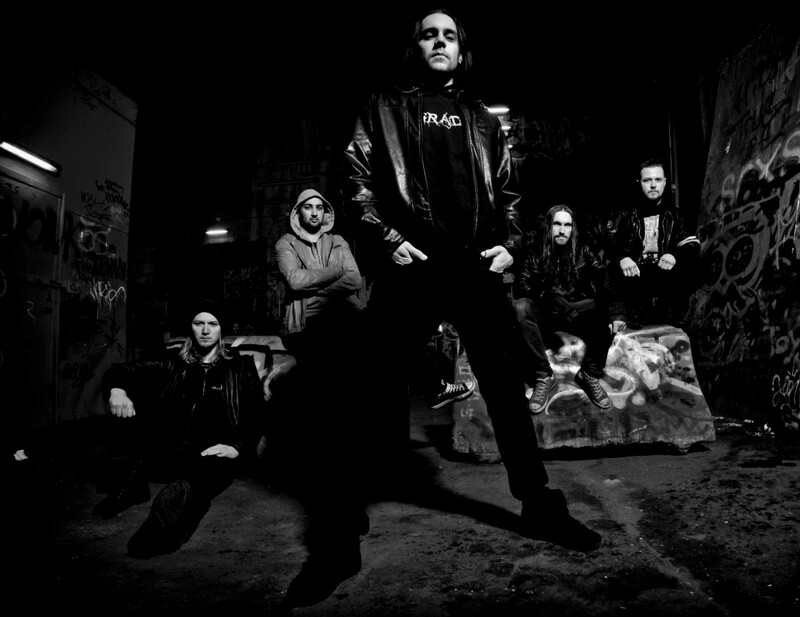 After A sucsesful year of touring in merch 2010, Degradead entered the studio once again with producer Jonas Kjellgren to record their third studio album “A World Destroyer”. The album ended up mastered and completed in May but unfortunatley there where no release in 2010 due to some economc difficulties with the record label Dockyard1 which sadly went out of buisness shortly after. 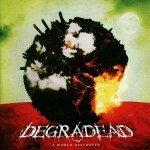 During fall 2010 Degradead signed a record deal with Metalville Records. 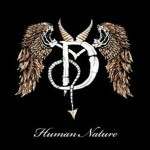 They released the single “Human Nature” in November 2010, containing two tracks from the new album. Shortly after signing with Metalville, Degradead played a tour in India, which made them the 21st international metal act to ever visit India. 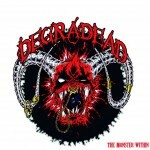 In 201 1 Degradead finally released their third studio album “A World Destroyer” and this was celebrated with a big release party at Debaser Medis in Stockholm once again. The album was a huge success and the top reviews where coming from all over the globe, which made 52 different radio stations play Degradeads music continuously in the United States. 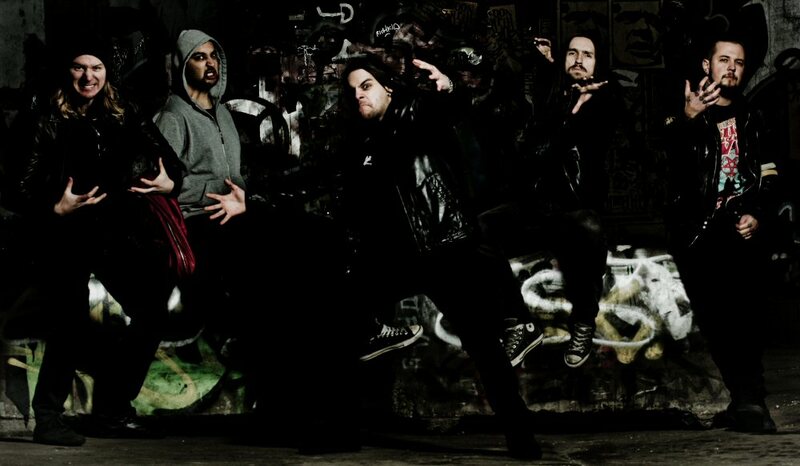 Before releasing the album Degradead traveled to the other side of the globe to be one of the twenty first international metalacts to tour in India. The response was overwhelming! After the release Degradead went on their first headlining tour in Russia, which gave the band a tremendous response. Keep your eyes fixed on Degradead’s website and myspace profile to find out the latest news of the band! 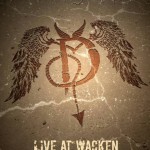 Degradead released their first DVD “Live at Wacken And Beyond” in January 2012 that gave them a gig at the Close-up boat and a headlining gig at the famous Nalen in Stockholm. Degradead headed out for their second European tour together with the legendary band Sacred Reich. After returning from the Sacred Reich tour, the drummer Kenneth Helgesson (one of the founding members) decided to quit the band. This brought a great amount of pressure on the others since they were on the verge of heading out on their biggest tour so far. A massive headhunt was started for a new drummer and after two weeks of auditioning, the band finally found someone who showed no mercy and made a really good impression on them. The drummer was Amit Mohla and this was announced quickly since there was not much time till the European tour. In October 2012 Degradead headed out as a special guest with the 80’s trash metal icons Overkill. They also teamed up with 3 Inches Of Blood and Purified In Blood to play a supporting act tour at the “Killfest Tour 2012” which included 17 concerts in 18 days across eight different countries in Europe. Shortly after coming home Degradead headed out for their second Russian tour which was a yet again a fantastic tour. 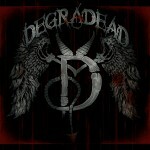 In January 2013 Degradead headed south of Sweden, to Skara, to record their 4th studio album. The band felt that a change was needed and so ended up recording with the famous Thomas “Plec” Johansson at his studio The Panic Room. Also, this was the first album with new drummer Amit Mohla. Degradead released a video for the single “For Better Or Worse” in late June, recorded by director Owe Lingwall at Dreamday Media. This video became a huge success online! The album was released on Friday 13th of September 2013. The 10 track listed album, entitled “The Monster Within” entered the official Swedish rock/metal charts at number 7 (followed by Queen, Black Sabbath, & Guns N Roses), which is the highest charts entry in the history of the band. “The Monster Within” also placed at #24 at Japans album import list. The band celebrated the release with a huge releaseparty at Debaser Medis in Stockholm with family, friends, and fans from all over the world.